Encompassing beauty, history and crystalline waters, Greece offers a profusion of delights to be had from the bustling mainland to the secluded crescents of islands and with some of them only accessible by boat, this region makes for a seductive and enthralling cruising destination. 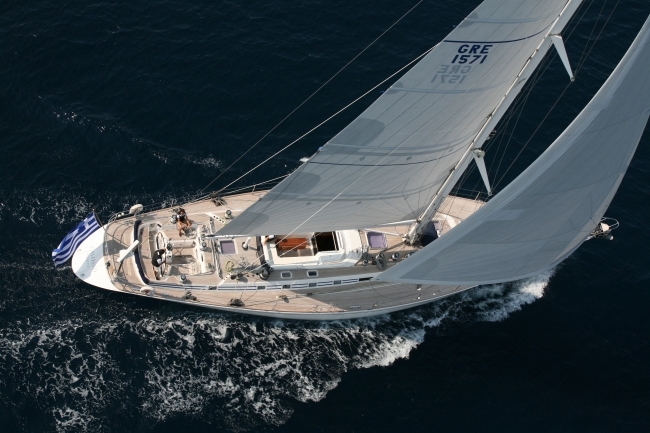 Greece is boundless in yacht charter opportunities. Blue domed churches and whitewashed villas, many apparently clinging to the sides of cliffs are just some of the sights you will see from your yacht charter in Greece. This type of scenery can be found everywhere in the most famous Mediterranean island group, the Cyclades. Santorini and Mykonos are the stars – Santorini with villages looming over the sea on the steep, volcanically produced caldera and Mykonos with its gentle beaches and picturesque windmills, it is easy to see why. But there are so many others vying to be noticed such as the flower filled, no-cars-allowed Hydra, the green hills of Kefalonia in the Western Ionians, or the architecturally rich Dodecanese Islands of Symi, Patmos and Rhodes. 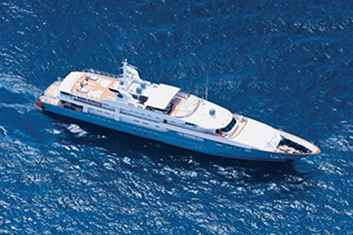 Explore the beauty and culture of this ancient country on a Greece yacht charter. The top attractions of a Greece sailing holiday are the capital city of Athens with its multitude of ancient sites, the islands of Corfu, Crete, Santorini, Skiathos and Rhodes, the Meteora region with its hilltop monasteries and the Peloponnese peninsula. 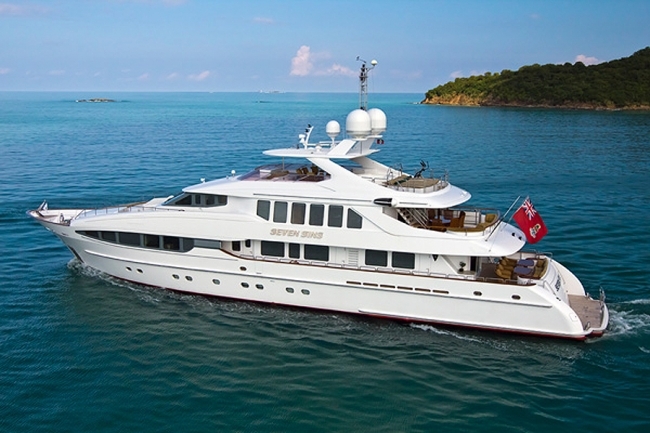 Charter a yacht in Greece and see this historic, maritime nation made up of 4,500 island jewels set in five different cruising areas: the Ionian Sea, the Saronic and Argolic Gulfs, the Cyclades, the Sporades and the Dodecanese. At the heart of the Aegean lie the Cyclades, where steady winds, dramatic landscapes and natural harbours make them a haven for waterborne travellers. Each island is surprisingly individual, but join them all together and you have a wonderful mix for the perfect itinerary. Cruise towards the mountainous island of Kea. Characterised by valleys, vineyards and orchards leading down to idyllic coves, spend the day acclimatising to the relaxed pace of life on board. Make your way around the circular archipelago, cruising past Kithnos and Serifos to Sifnos. Divide your time between the cosmopolitan port Kamares, the old village of Kastro, or the beach havens of Vathi and Platys Gialos. Watch the sunrise over the Cyclades from the medieval hilltop village of Castro, before leisurely cruising on to Milos. Santorini is the most popular of the Cyclades archipelago. Take a cable car ride to the island’s main town of Fira. Late afternoon, make your way to Oia to catch the famous Santorini sunset. Cruise around Santorini’s satellite islands of Thirassia, Palea and Nea Kameni for stunning beaches before heading north for a peaceful night’s anchorage at Ios. 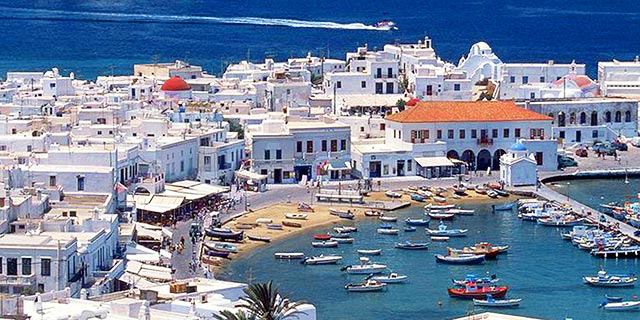 The island of Paros is one of the most enchanting Greek islands. Good beaches, ideal windsurfing conditions and a profusion of restaurants make it a firm favourite on the cruising map. For years the island of Mykonos has welcomed the jet set, following the likes of Jackie Kennedy and Aristotle Onassis, whose seal of approval made it the must-visit summer destination in the ‘60s. The island became a hedonistic party island in the ‘70s and today it attracts a broad section of any who like to party past sunrise. 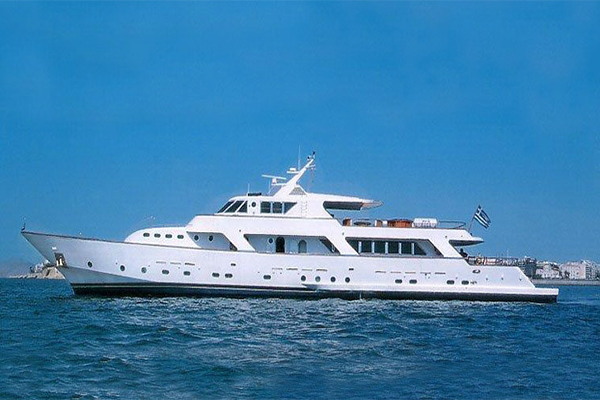 Artemis – before cruising on to the ancient island of Syros. Cyclades archipelago, and enjoy a final mezze before cruising overnight to Athens. The Ionian Sea is home to a number of beautiful Greek islands, collectively known as the Ionian Islands. The area is one of the most scenic cruising grounds in the world – a fitting setting for the great Homeric myths. Corfu has long been a favoured stopover, and as such it is an amalgam of numerous inherited cultures and architectural styles. Full of appealing villages and excellent beaches, the islands has plenty to keep the anchored seafarer entertained. Once you have had your fill of Corfu, the stunning island of Paxos awaits. Cruise alongside the dramatic Emritis Cliffs along the northwest coast. 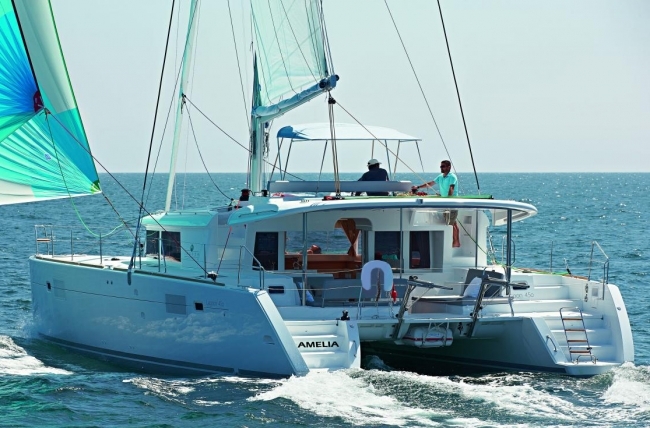 Anchor in a quiet cove or take the tender ashore to the buzzing beaches. The neighbouring island of Anti Paxos is a haven for watersports enthusiasts. 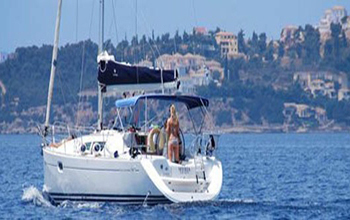 Spend the afternoon anchored in one of the many secluded coves before cruising on to Lefkada. Lefkada boasts an interior of wooded hills encircled by a coastline of high cliffs. Spend another day of watersports activities in the deep coves and turquoise-bays of Meganissi, the largest islet in the southern part of the island. Cruise to Homer’s Ithaca. Resonant with ancient folklore, explore the cave of the Nymphs, the fountain of Arethusa, and Odysseus’ palace. Early evening step ashore to the tavernas that line the bijou ports. Hop over to Cephalonia’a northernmost port, Fiskardo. A magnet for superyachts, Fiskardo is one of the chicest fishing ports in the Ionian. Cruise south to Myrtos beach, with its white and azure waters under sheer cliffs. The southernmost island in the Ionian archipelago, Zakinthos is worth the detour for its vineyards, orchards, olive groves, and fantastic beaches. Before heading back to Cephalonia, relax in the therapeutic sulphur springs around Keri. Hydra is located between the Saronic Gulf and the Argolic Gulf and is a one of the most popular yacht charter areas in Greece. Aegina island in the Saronic Gulf, Greece. Perfect holiday destination and a fantastic place not spoiled by mass tourism. 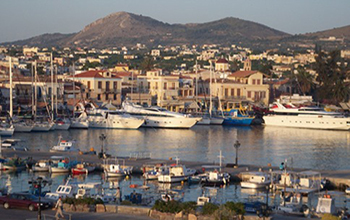 Aegina can be reached within 40 minutes from Piraeus. 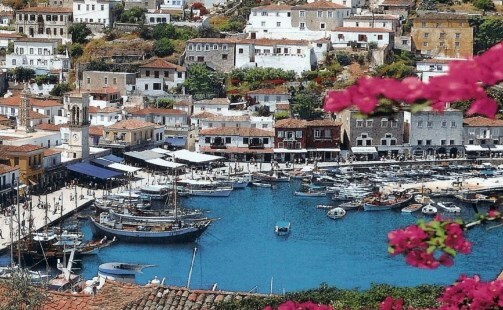 Unforgettable scenes of natural beauty is what every single person who charter a boat in Spetses enjoys. 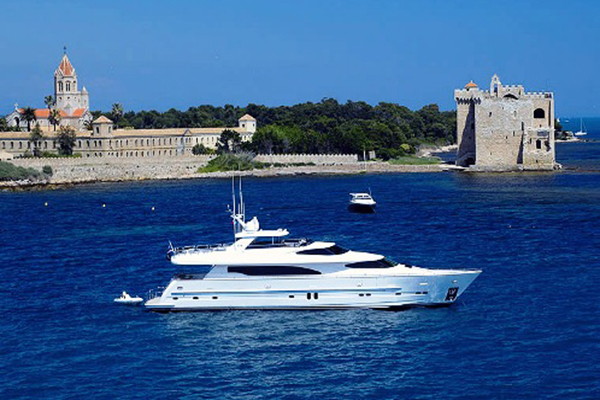 Rent catamarans, sailboats, motor yachts and motorsailers and sail to this Greek island, Spetses. Greece offers an abundance of charter opportunities from the ancient cities of the mainland steeped in history and natural beauty to the myriad of islands which stretch towards the Turkish coastline. Whether you’re looking for a vacation saturated in the remnants of an alluring history or to island hop between the Saronic, Ionian or Cyclades islands, Greece is boundless in charter choices. 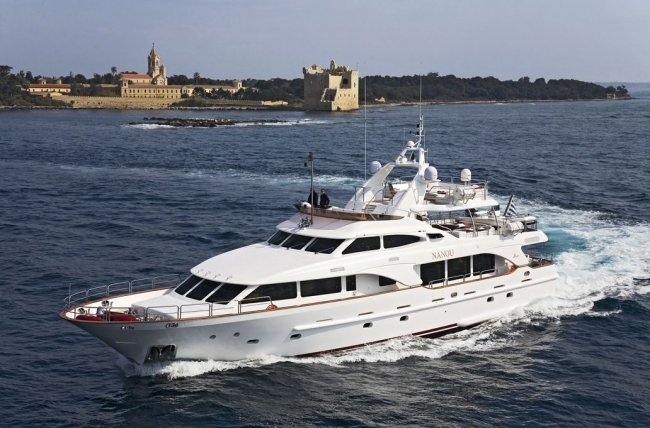 Select a Maximum of 5 yachts and us for more details.